I was preparing myself to start a course in my new school when I saw the message and my heart sank, “Monday and Tuesday will be introduction and team building days”. This is something most introverts don’t want to hear, am I right? I know I didn’t. I woke up extra early, packed my lunch and headed off to RED Academy. The whole journey I kept thinking and worrying about all the people I’d have to meet. “What if no one talks to me?” “What if my appearance scares them?” “Even if someone talks to me, what if they don’t like me?”. I’m sure these questions haunt a lot of people’s minds when going into a whole new community of people, but at that very moment it doesn’t really occur to you that these are normal things to worry about. I walked through the door and the academy’s staff enthusiastically welcomed me and made me feel a bit more at ease. Most of the students were already there, conversing with each other and eager to start the introductions. We got called upstairs to go to our classroom where we would spend most of the day. 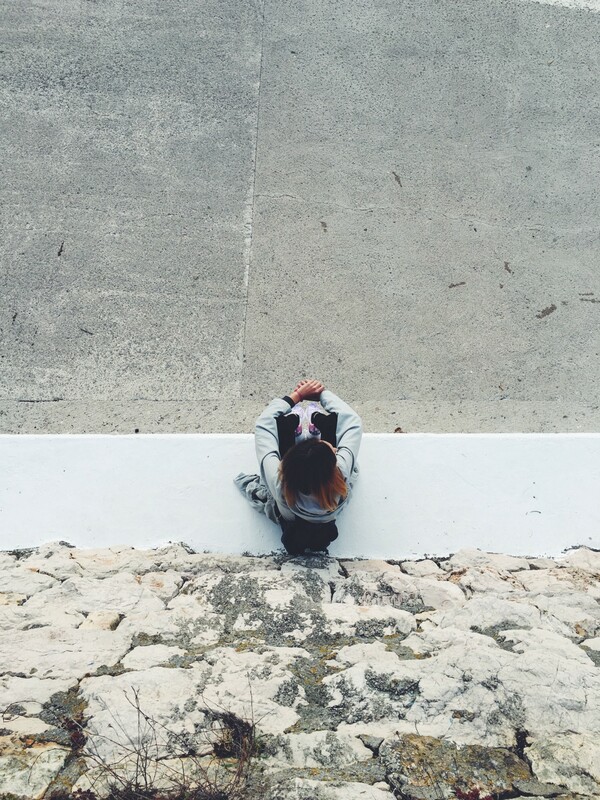 I had not talked to anyone yet and i surrendered to the thought that “This was it, it’s too late to talk to anyone now”. Spoiler alert: Nothing was less true. Have you ever seen that meme that says “Introverts don’t make friends. 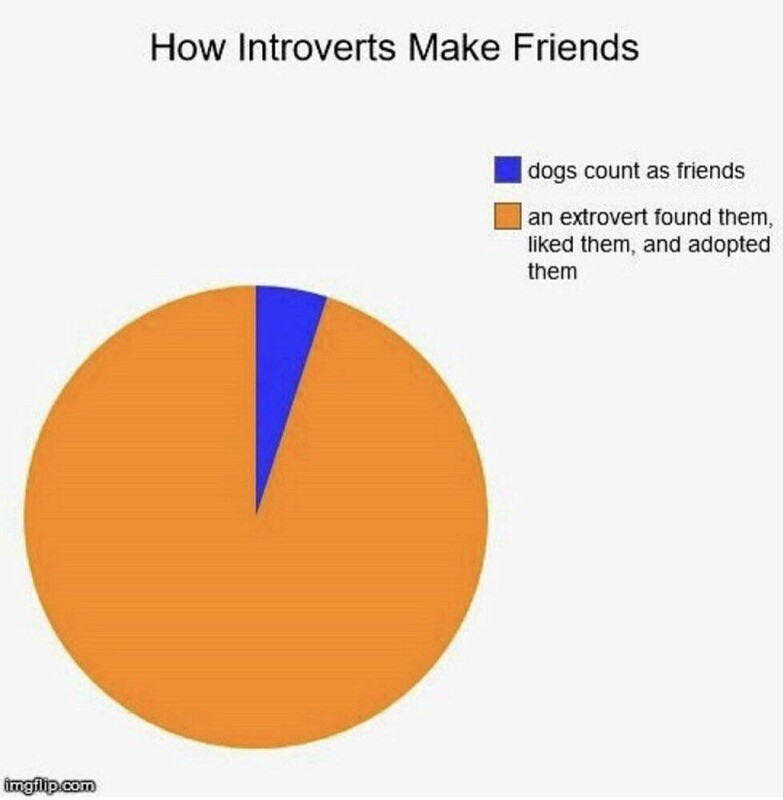 We get adopted by extroverts.”? Or this pie chart? This is exactly what happened. I sat down in a corner and the seats around me slowly started filling up. Another student immediately noticed this introvert-in-need and started a conversation with me. When they found out which course I am taking, they introduced me to another student who signed up for the same course. It was a snowball effect from here on. We started off by briefly introducing ourselves to the other students from where we were seated and later had to tell our story at the front of the class. I volunteered as one of the first ones to go up there and talk. It was terrifying at first but as soon as my awkwardness got some genuine laughter, I realised that this wasn’t so bad. Seeing other people’s introductions made me realise that even the more extroverted people seemed nervous while delivering their presentations. All of these were fun and breaking the ice between all the students. And the best part was: I didn’t experience a single awkward moment! To all the extroverts out there: thank you for recognising and adopting introverts. And to all my fellow introverts: sometimes things are only as scary as we make them out to be. You’ll be just fine.